Single Player, Xbox Live Multiplayer 1-4, 5.1 Surround Sound, HD (High Definition). Gird your loins, grow a spine, and prepare yourself for war! The worms are back, ready to kick some dirt, and itching to give you all the mayhem you can handle! 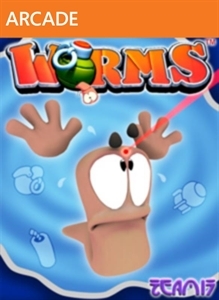 In the full version, you can battle up to three other players on one of three random landscape themes, change the multitude of game settings, collect all of the 12 achievements, and write your name in the “Worms” hall of fame. Don’t delay, show some backbone, and buy “Worms” now -- the invertebrate army wants YOU! There are no refunds for this item. For more information, see www.xbox.com/live/accounts. Give yourself Worms with these 5 Gamer Pictures brought to you lovingly by Team17. There are no refunds for this item. For more information, see www.xbox.com/live/accounts. There are no refunds for this item. For more information, see www.xbox.com/live/accounts. Worms of Arabia! The Worms take a trip down memory lane with a visit to the Desert in this exclusively designed retro landscape brought to you by Team17. There are no refunds for this item. For more information, see www.xbox.com/live/accounts. There are no refunds for this item. For more information, see www.xbox.com/live/accounts. Worm up your Xbox Dashboard with this lovingly created theme brought to you by Team17. There are no refunds for this item. For more information, see www.xbox.com/live/accounts. There are no refunds for this item. For more information, see www.xbox.com/live/accounts. Give yourself Worms with these 12 Gamer Pictures brought to you lovingly by Team17. There are no refunds for this item. For more information, see www.xbox.com/live/accounts. Give yourself Worms with these 5 Gamer Pictures brought to you lovingly by Team17. There are no refunds for this item. For more information, see www.xbox.com/live/accounts. Enter the depths of Hell with this all new Worms Landscape Pack! For more information, see www.xbox.com/live/accounts. Take the battle into Space with this new Worms Landscape Pack! For more information, see www.xbox.com/live/accounts. Single Player, Xbox Live Multiplayer 1-4, 5.1 Surround Sound, HD (High Definition). Armed to the teeth and ready for action, this time they're back with a bang! Prepare yourself for a delicious slice of mayhem, "Worms" style! In this trial version, you get one landscape theme, multiple weapons (including the classic Bazooka, the deadly Banana Bomb, and fearsome exploding Sheep), and the ability to play up to two teams. You can even call in an Air Strike to blast your enemies to oblivion! 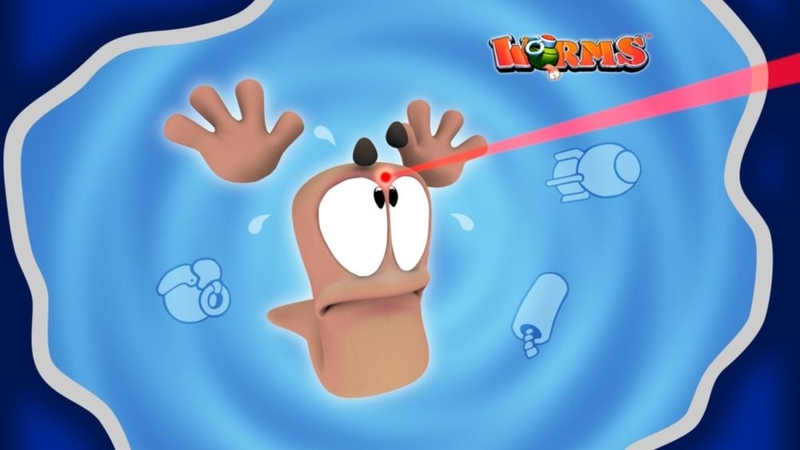 Try “Worms” today and prepare to get hooked!